Note the arquebusier in red hat (turban?). 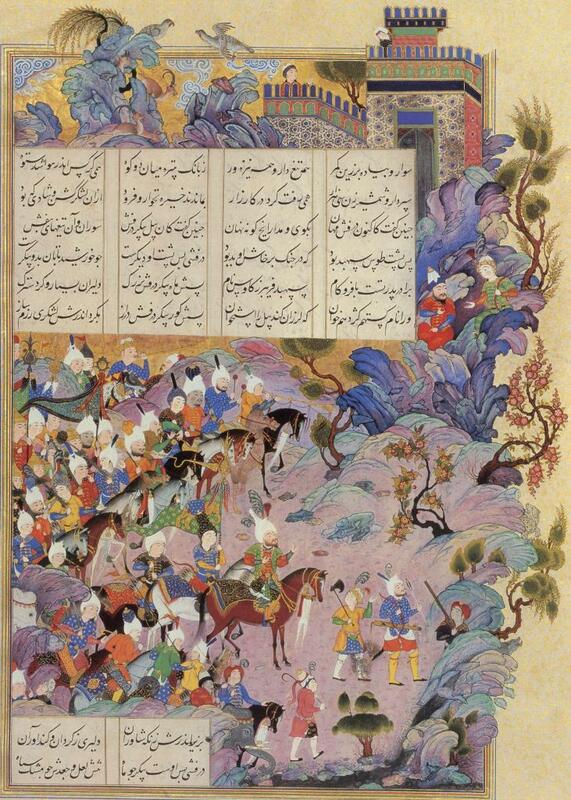 From the portion of the manuscript in the Museum of Contemporary Arts, Tehran. Although the story is of an earlier period, the figures wear early 16th century Persian costume.